When Kathy Boulanger started to hear of her older friends and family members being told by doctors that they’d eventually need to get a knee or hip replaced, she knew she had to turn things around for her own health so she didn’t go down that path too. 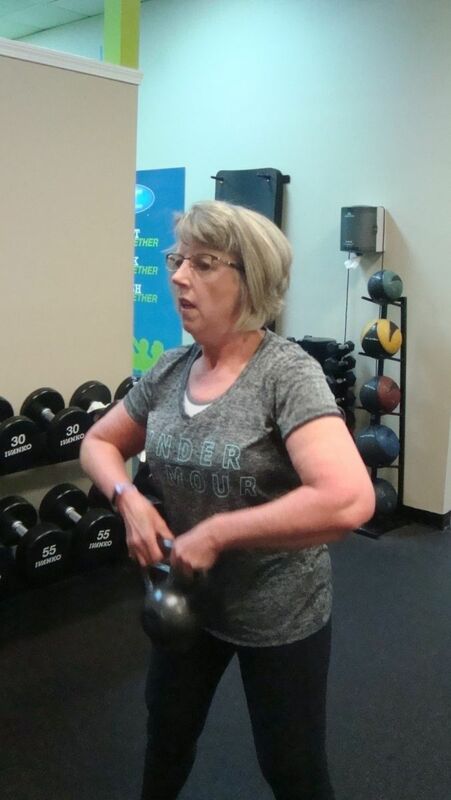 When Kathy went in for her first session at Fitness Together Northborough in May 2017, her personal trainers, Garrett and Scott, took her through fitness assessments, discussed her goals and then created an exercise and nutrition program tailored exactly to her needs. Kathy was asked to track her food meticulously (even on the weekends, a standard with the Nutrition Together program), show up for three workouts a week and start making better choices with her snacks and meals and portions without giving up the foods she loved — with guidance from her trainers every step of the way. In a little over a year-and-a-half, with the help of her team at Fitness Together, Kathy lost 60 pounds and went down from a size 18 to a size 4 in jeans. When Kathy started training at Fitness Together Northborough, she could barely complete one full sit-up, nor hold a plank on her knees. These days, she’s completing 30 full sit-ups in a row and holding a plank on her toes for more than 90 seconds. But it’s the performance outside of the gym that gets Kathy even more excited. Perhaps what has made Kathy so successful with her lifestyle changes is the accountability of working with a team of trainers who really care for her well-being. Kathy never wanted to disappoint her trainers, and they continued to support her every single workout inside and outside of the studio — always an email or a phone call away. Kathy’s current fitness and nutrition goal is to maintain her weight loss and continue getting stronger with new challenges. She gets a new program every six weeks and completes a fitness assessment every six weeks too. If you’re interested in learning more about how a Fitness Together trainer near you can help you stay accountable and get results like Kathy, reach out to a private studio near you today here (https://fitnesstogether.com/personal-trainers-near-me).